This weekend has been a full one, that's for sure! to meet up with some fabulous bloggers. so we thought we'd get together anyhow, and grab dinner! We all had a blast... and some of us actually just, couldn't let the night end, at 11pm. ha! the best blogging tips around!? On Saturday I hung out with my Mom, Grandma and Aunt. We had a chill night with dinner, and a movie... in! ps. TOTALLY family friendly as well. And today... Well, today was just. Perfect. After I got the girls and me all ready for church, I had about 30 minutes, before we had to leave (which never usually happens) and so I decided to do a little "photoshoot" of the Smith chicks today. I used to do this EVERY month, but lately I've been slacking. I definitely need to get better. These kids grow up SO fast, and I feel like sometimes the ONLY way I'm going to remember it all, is through a great picture! After church we usually jump in the car and speed right off to one parents house or another for dinner, but today, we just... did OUR thing. It might sound boring, but to us... it was a picture prefect Sunday afternoon. We had the same Sunday today! Very relaxing!!! Don't you just love Sundays like that? I didn't even cook... Costco frozen Lasagna. Your girls are adorable! Great pics and I love their cute dresses! I love nights out with 'blogfriends' even if it sounds REALLY nerdy to HAVE blog friends! LOL! The girls look adorable- love the coordinating Sunday gear and I'm not at all surprised that you'd have them matched awesomely! What a great weekend! Sweet sweet pictures. I love that we posted about the same movie! LOL! And Shelley... seriously. Your girls are freaking ADORABLE! Such beautiful girls both at the blogging get- together and your kids! God Bless! The Sunday pictures are absolutely darling. My daughter looked like no one loved her today. It was a rockin' ponytail worship service. Stinkin' 9am church! And can I just give you a thanks for linking everybody to that photo? I may have done the copy and paste of that. I owe you one! Thanks for a much needed night out with the gals!! Dinner was awesome and hangin' with blogger friends is always a blast...so fun to meet so many new friends, too! Y'all were certainly missed! It looks like you had a great time though - My laptop decal was a big hit - everyone loved it! please, oh please...have more babies so we can gawk at their gorgeousness. and as IF they pose that nicely. Mine look away at the word "cheese"
Also, IHOP.... :*( another thing we Canadians DO NOT have. BUT...we're getting Target!! Apparently they've decided to cash in on our economy! I absolutely LOVE your blog!!! You seem like one of the funnest people in the world, you always seem so happy, fun & positive. Thank you for sharing your talents with all of us. P.S. 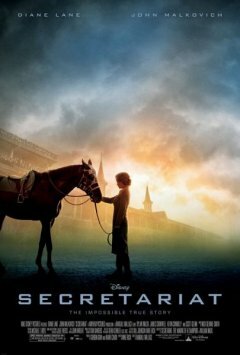 - Your girls are so stinkin' cute & you are right, Secretariat is a must see (in fact we watched it twice this weekend)!!! P.P.S - Would you ever be willing to share the name of the font you used in House on your House of Smith's blog header. Thanks!!! PS your girls are darling! YOur girls are just adorable, and you dress them so cute. I'm envious, mom of three boys here. Your blogger night out looked like it was so much fun. How did you find bloggers in your area? Thanks for the new blog links and I love the photo shoot! I need to try that! thanks :) Cute pics by the way! Your girls are seriously A-DORABLE! Sooo cute!! I did a couple of photo shoots of my son this weekend too! It was so much fun! And your right, they totally grow up way too fast! I actually featured them on my family blog this weekend if you wanna check out my little cutie! Love the fact that you and the girls got together for a little blissdom of your own! How fun! Looks like you all had a great time!! Ugg! So I guess it's true! All the photos are proving it! My roots are taking over my life! thanks for a great Friday! LOVE YOU! Those are the best nights, out late with great friends and just enjoying the company. And those angels of yours are ADORABLE!!! What a great weekend! 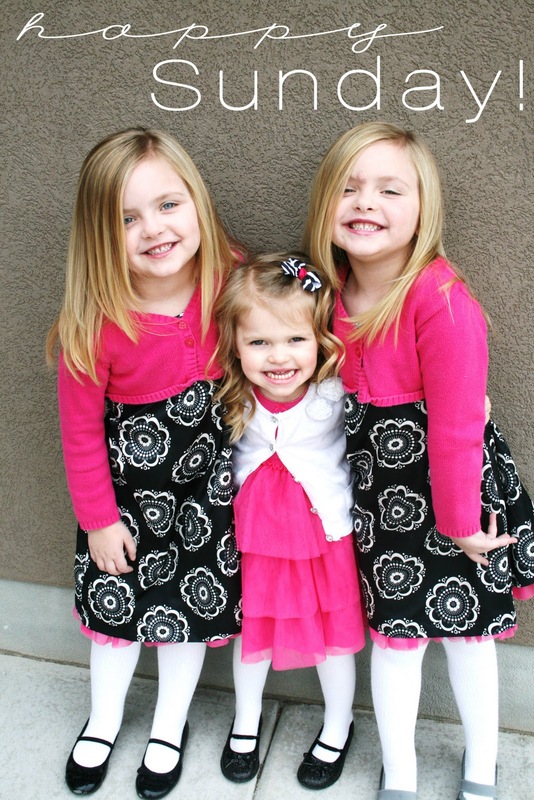 The girls are adorable, love those big grins!!! Sounds like a perfect Sunday to me! Thanks for keeping up this fun blog of yours and for sharing your fabulous talents and skills:) I'd love, love to know the name of the font you used for the 'House' portion of 'House of Smith' if your willing to share! Thanks so much. LOL! So much fun! I didn't recover very well from the lack of sleep though...must be getting old! Your girls are adorable!! Love ya! Those girls are so darn adorable I can't stand it, I miss my grands so much! Your girls are so so so cute! And that sounds like another awesome blogger party!!!! Sounds like the perfect weekend. Lot of fun with the girls followed by great down time! Sheesh, I think I want to move to Utah! Wow, this looks fun. I live in Sandy & would love to join in next time! It would be so fun to meet you & all these fun women. What a fun weekend!! What a crazy fun group of women. You must have had a blast! Your daughters are beautiful! I didn't realize you had twins, how fun. Monthly photos are such a good idea. I might have to try for something like that. Thanks for the great ideas!! Oh my gosh, what gems you have!!!! How do you even tell your girls apart? I wondered why I didn't see you in any blissdom pics. Sounds like a great weekend Shelley! I'm so jealous I don't have blogge friends that I can get together with here in NY! It looks like such a great time! Your daughters are adorable, as always! Oh your girls are too cute! Jealous of your Cheesecake Factory visit, I wish we had one down in Provo! You bloggers are too cute! Utah bloggers really are the best! OH. GIRL. You know IHOP has the best hot chocolate around. DELISH. Also, I'm always so jealous I don't live in Utah when I read about these awesome get togethers. Lastly, I can't believe how much your girls have grown since I've started reading your blog. They are beautiful! I also want to thank you again for doing the Silhouette giveaway and I feel like a little kid, every time I hear a truck drive by I rush to the window to see if it is the UPS man with my Silhouette :) haha I can't wait to get it!!! Your girls are sooooooo beautiful! OH I LOVE the dresses!!! You have to tell me where I can get the black one for my daughter, it's just TOO CUTE!!! Such fun things going on!! Love the pics of your girls--beautiful!! With a set of twin girls and a younger daughter of my own, these pictures are eerily familiar (but the quality is so much better for yours!!) and reminds me to savor these things! Thanks! sounds like a fabulous weekend to me! Ok I dont know how I missed that you posted pics too. I am awesome! Shelley Smith I love you! It was so fun hanging out and getting to know you better, you are the funniest cutest thing ever!! SOOOO much fun, once again, with you Shelley!!! Seriously, you are just way too AWESOME to be around (I'm already missing ya)! So when is this party in your basement??? Oh man, you gals look like you had so much fun! I had so much fun at Melissa's 2nd Annual Thrift-a-Thon - you've gotta tell me when you're getting together with all these crazy awesome Utah blog ladies!